The House of ALLAH Holy Kaaba has been a destination for all Muslims belongs to different nations and races and throughout the course of history. They turn towards the Holy Kaaba during their daily five namaz (prayers), with full dedication to ALLAH. What great delight a Muslim feels when he or she knows that they are going to the sacred places to perform the duty and rituals of Hajj or umrah. Say, “ALLAH has told the truth. So follow the religion of Abraham, inclining toward truth; and he was not of the polytheists. 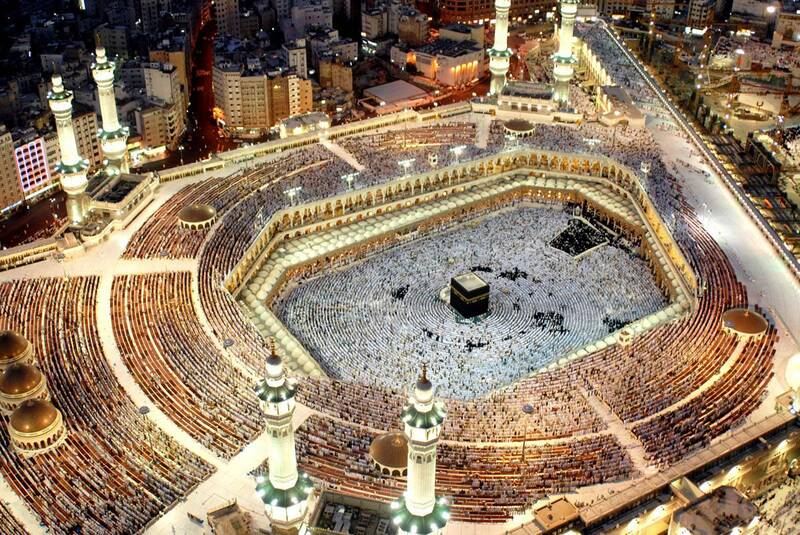 Indeed, the first House [of worship] established for mankind was that at Makkah – blessed and guidance for the worlds. Since the creation of world with its contents, there is nothing which has received such a degree of respect, dedication and glorification as much as the Holy Kaaba has. You will find at all times Muslims tawaaf or circumambulation it, remembering ALLAH and glorifying Him. The hearts of all Muslims are directed to the Holy Kaaba from all corners of the globe. This unique sacred House of ALLAH, situated at that holy spot, has had more impact on the hearts of all human beings over the course of time than any other spot of Worship. Even the polytheists at the pre-Islamic period used to place their idols round that holy House in misbelieve that they acted as mediators to ALLAH Almighty. Hazrat Adam (AS), yet others say that it was created by ALLAH one thousand years before the creation of world and then earth was created under it. These different stories are considered as historical whose verification doesn’t prejudice the basic branches or principles of the religion. “House of ALLAH”. Wherever Muslims are in the world, they have to face the Kaaba while performing salat or namaz (prayer). From any point in the earth, the direction facing the Holy Kaaba is called the qibla. The sanctuary around the Holy Kaaba is called Masjid Al-Haram (Holy Mosque). One of the Five Pillars that are mention in Islam requires every Muslim who is physically and financially able to do so to perform the hajj or umrah pilgrimage at least once in a lifetime. Multiple parts of the hajj require pilgrims to make tawaaf or circumambulation, the circumambulation seven times around the Holy Kaaba in a counter-clockwise direction. Tawaaf is also performed by pilgrims during the umrah (lesser or minor pilgrimage).